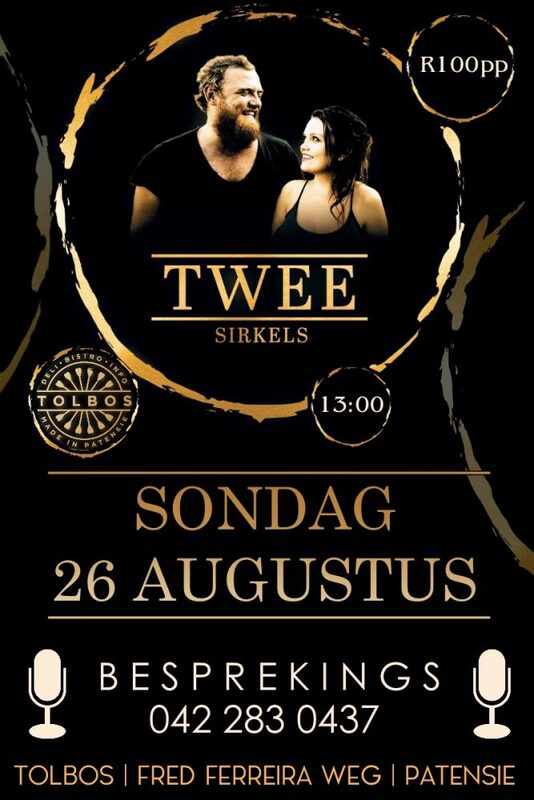 Don’t miss this fantastically talented Afrikaans Duo! Herman Kleinhans & Maria Rademan form TWEE, a very talented Afrikaans fold duo not to be missed. They will be performing live at 13:00 on Sunday the 26th of August at Tolbos Country Shop and Restaurant in Patensie.